Mueller: While this report does not conclude that the president committed a crime, it also does not exonerate him. Trump & Republicans: Total exoneration!!!! 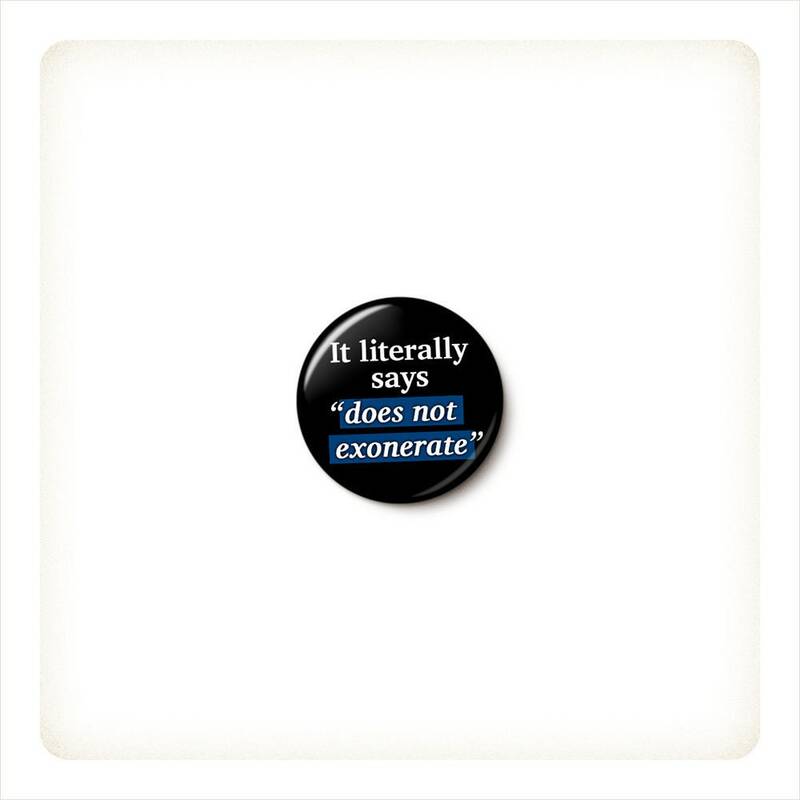 Everyone else: It literally says "does not exonerate." 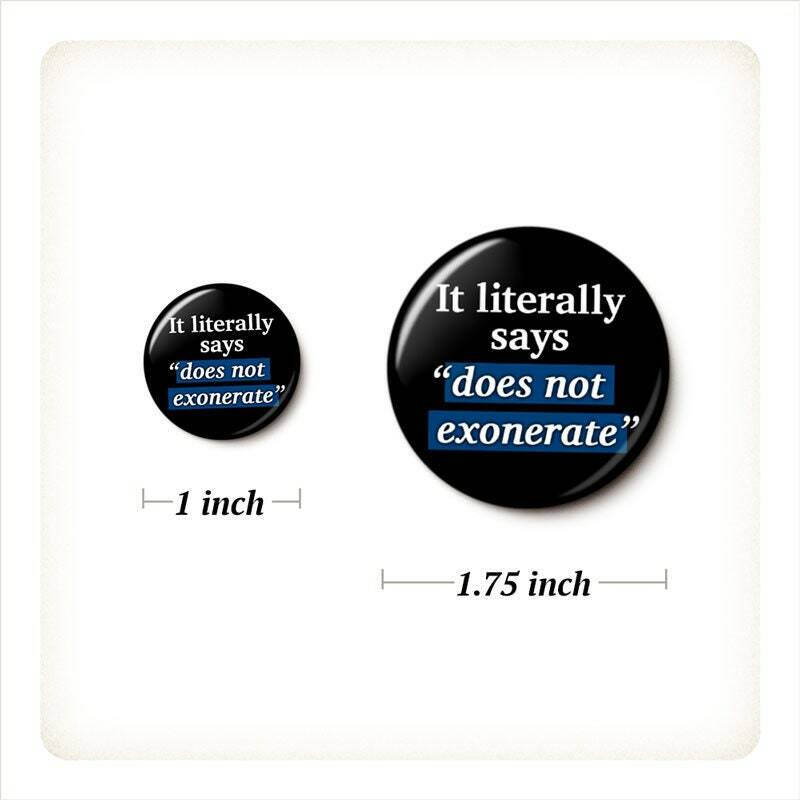 Does Not Exonerate pinback button or magnet, your choice.